Digital videos come in various file formats and not all formats are supported by most devices. For instance, your computer cannot support all the files if you do not have the right audio and video codec. Hence, you will see some error message such as file not supported. You have two choices; you have to look for the right codec in order to play the video you have. Your second option is to have a video converter that will convert the file format of your video to the ones that are very accessible and readable for the basic codec of computers. Choosing to get the video converter is ideal because you can use it to convert videos that will also play and be supported by your mobile devices such as your smartphone and tablets. If you are using a Mac computer, you will find that there are several video converter for Mac that you can rely on to change the file format of your videos to a readable one that is supported by your computer and devices. 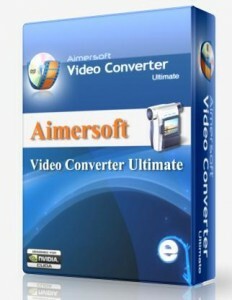 The Aimersoft Video Converter is a software that you can use for your Mac computer. It can convert videos that will be supported by Apple devices. You can also do some editing to your videos such as cropping and removing unwanted images from your file. If you captured the video in the wrong angle, you can do a 90 degree angle rotation. Another conversion that you can use with this program is to grab or download the audio embedded in the video. 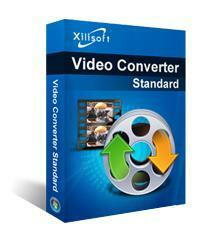 Some of the things that you cannot do with this conversion program are the typical video editing functions. The iMedia Converter for Mac provides comprehensive media converter wherein you can split and merge various file formats into varying sizes. Other functions that this app can do is that it can let you do some minor editing to your videos such as splicing, trimming and merging. You can also make color adjustment with this app and change the volume. You can add watermarks, text overlays and special effects filters for your embossing needs and more and these features are not available in most video converters. There is also an automatic looping during the video review of the conversion. The Wondershare Video Converter provides you with the essential features in converting videos from one file format to another. It has a well-organized interface such as the organized drop-down menu style. The app permits batch video conversion wherein you can do multiple video conversions in one go. You can also do some basic editing such as adjusting of audio volume, brightness of the video image as well as contrast. In addition, you can also do clipping and editing of some parts of the videos. The Daniusoft Video Converter for Mac has a wide array of editing tools that you can fully utilize aside from the converting features. You can do customization of videos such as altering the image orientation, contrast, brightness and saturation. You can also insert special effects. It is also possible to cut out some segments of the file as well. Just like other apps, you can use this to merge and separate video files into sizes that are more manageable. 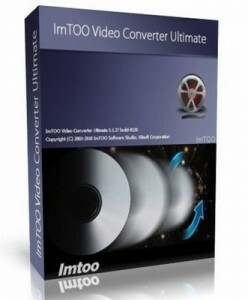 The ImTOO Video Converter for Mac does compilations of various images and videos in a single slideshow. This app provides you with a bitrate calculator that permits you to do checking of the output of the video and its parameters. This feature also helps make the file to be in a manageable file size. This software also features multitudes of file conversion abilities wherein you do not need make a re-addition of every file each time. However, some of the basic editing tools such as merging and cropping of files are not included in this app. The 4 Media Video Converter for Mac may lack in some of the fundamental editing features, but it makes up for it in its range of supported files for conversion. Nevertheless, there are some file formats wherein you have to pass through a series of processes in order to convert files successfully. An example is the conversion of AVI file format to MOV format. The interface of the program is so simple and easy and you will have easy time navigating throughout the interface. 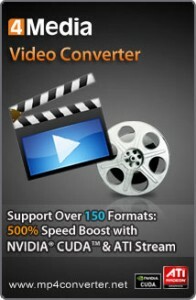 The Aiseesoft Video Converter for Mac is another great app you can use in converting videos. It can give you features such as editing of the subtitle. This converter app has only the basic editing features aside from the subtitles and it can convert most of the file formats for videos. The Xilisoft Video Converter for Mac is another app with bitrate calculator functionality and has the capability of making slideshows from static pictures. If you want to convert some of the not-so-common video file formats, you have to do a series of conversion first such as passing it through the MPEG format before it can be converted to the desired file format. It features a snapshot functionality and is also audio converting tool. The AVCWare Mac Video Converter, aside from converting video files, offers you with several special effects filters. You can also do cropping of videos simply and easily. It can convert most of the video files, but one of the downsides of using this software is that you cannot see the side-by-side comparison of the videos being converted to the desired output. 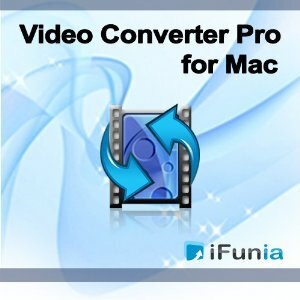 The iFunia Video Converter Pro for Mac is very capable of converting tons of video file formats and has an auto shutdown function. With this feature, you can convert huge batches of videos and then leave it as it will do the shutting down of your Mac for you. The powerful Total Video Converter for Mac is missing in your list. It is a piece of full-featured Mac video converter and DVD burner that supports almost all video and audio formats.